Nutter Partner Nelson Apjohn has become a Fellow of the American College of Trial Lawyers, one of the premier legal associations in North America. Fellowship in the College is extended by invitation only and membership in the College cannot exceed one percent of the total lawyer population of any state or province. Apjohn’s induction took place at the 2017 Annual Meeting of the College in Montreal. 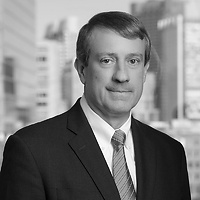 Apjohn is a partner in Nutter’s Litigation Department and a member of the firm’s Executive Committee. He regularly represents clients in civil litigation cases, focusing on business litigation and products liability claims. A leader in the legal community, Apjohn is a Senior Fellow of the Litigation Counsel of America and chair of the Standing Advisory Committee on the Rules of Civil and Appellate Procedure of the Supreme Judicial Court of Massachusetts. He is a member of the International Association of Defense Counsel and the Defense Research Institute. Apjohn frequently lectures and publishes on civil litigation. He served as co-president for the 2015-2016 term of the Boston Inn of Court and is a former member of its Executive Committee. Founded in 1950, the College is composed of the best of the trial bar from the United States and Canada. Fellowship in the College is extended by invitation only and only after careful investigation, to those experienced trial lawyers of diverse backgrounds, who have mastered the art of advocacy and whose professional careers have been marked by the highest standards of ethical conduct, professionalism, civility, and collegiality. Lawyers must have a minimum of fifteen years trial experience before they can be considered for Fellowship.